Ask fellow campers about "Valar Horse Facility" and nearby attractions. A fabulous place to stay with your horses in beautiful country! This visit was hassle and headache free because of the owner and her facility. 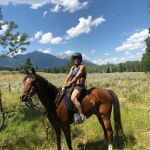 She is available to help with any of your needs or travel snafus and will keep an eagle eye on the condition of your horses. Her place is warm and welcoming. 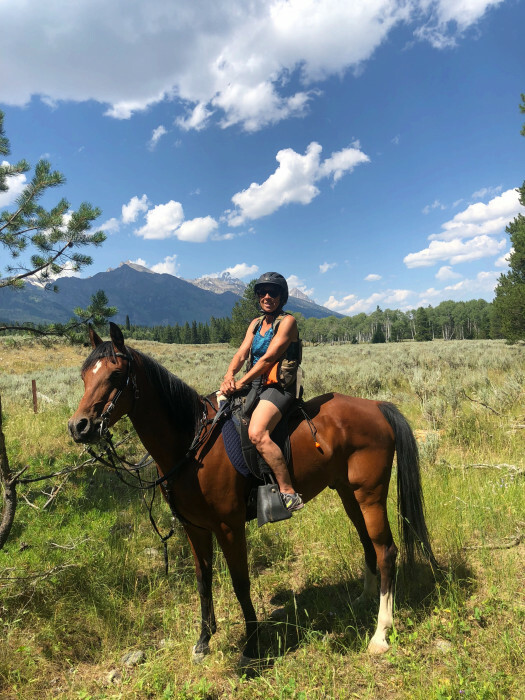 As a single gal traveling with horses cross country, the owner helps to make your stay stress free. The other campers were all great people from all over the US. I will go again. We camped at Valar Horse Facility in a Fifth Wheel. ADMIN NOTE 5-14-18: It has been reported that this facility now only accepts horse trailers which have living quarters. Very nice farm area close to Jackson and Grand Teton park. Perfect for horses owners of course, but very valuable too if you like nature and animals and got an RV. My son enjoyed to help feeding the farm animals and the horses. Owner provides a complete guide set very useful to do activities in the neighborhoods. We had a 24 ft RV with slide out and we had no parking issue at all and the place was easy to find. It's not a big structure so it remains very friendly. We enjoyed seeing the 2017 great eclipse and owner did not increase the price for this event as some others did. We will return straight to this nice place next time in Teton NP. We camped at Valar Horse Facility in a Motorhome. Park owner gives good tips (horse riding, hiking....) in the neighborhoods. This spot was a fabulous surprise. The owner attended to our every need, providing plenty of extras. She also allowed our 4 yr old daughter to help with farm chores, including brushing her miniature horse and collecting eggs from her chickens. This felt like a b&b for campers and is great for children. At night we sat around the communal fire making s'mores, cocktails and chatting. We caught a bunch of fish at the river right down swim this spot as well. We'll definitely be back. We camped at Valar Horse Facility in a Travel Trailer. Excellent location about 13 miles south of Jackson. Owner very nice and new the area very well. Not a good side road to get to site. Sites very cramped with no privacy. No bathroom or sewer facilities. Had to use there blue dump box to haul waste 100 feet to the sewer in their fenced in yard. We camped at Valar Horse Facility in a Travel Trailer. Excellent location for Teton visiting. Non-traditional place to park.. The owner is wonderful and has covered every detail to make it a wonderful place to hang for your Teton visit. I used 30a and water hookups. A blue buddy is available onsite to dump in facility's sewer system. Great.. Wifi is excellent. Verizon has zero signal. Parked on grass and level. A wonderful space to hang after a day of playing in the Jackson Hole area. If you're up for an adventure, this place is great. We camped at Valar Horse Facility in a Travel Trailer. When you drive into this place, it feels like it is not going to work..but it does. Kids love it here! Quiet at night. Dark sky. I did not do enough research prior to booking. I knew it was a small park....not a problem. First we missed the turn. I never saw a sign. Turning around on a one lane gravel road was an adventure. We made it! Finally got to the place. The owner and the others were very friendly and helpful. We knew 30 amp, water and no sewer. We were surprised how close the units were. Our slides did open. All the water came from the owner's home. The 30 amps were questionable. Lots of hoses and extension cords on the ground. If you have horses, this is for you! In spite of The hospitality this was not for us. We finally founded another campground 50 miles away and moved the next morning. We camped at Valar Horse Facility in a Fifth Wheel. Our stay at Valar was such a treat! We have a 33 ft trailer and 2 large dogs. Pulled up to Valar and the host met us in the drive way and helped back us up into our lane. With only 5 hookup spots, RVs are parked close together but the stay at Valar proved to be the perfect spacious stay we were after! This stop isn't for the RVer looking for a wide open park ground. Interestingly, RV parks are usually a stifled stay for us with dogs. No matter how big the RV spot is, our dogs are stuck on a 6 ft chain or in the trailer.....but not here! We were able to walk out our RV and take them right onto country lanes with gorgeous views and river access. Both in the morning and before bed we used the on site immaculate hot tub. The deck area was awesome to just hang out on, and our dogs LOVED watching the horses, chickens, cats and Bitty the dog from the fenced yard. Considering we were in Jackson to see the amazing area, not the inside of our RV, we really lucked out finding Valar. We saved so much money by staying here. If you are looking for a KOA, go to a KOA. But if you're looking for a cozy country stay with the best hospitality near Jackson, this is where we'd recommend. WE WILL BE RETURNING FOR SURE! We camped at Valar Horse Facility in a Travel Trailer. The ranch owner is exceptionally well versed in the area and extremely attentive, helpful and friendly. The ranch typically caters to horse owners as a horse motel, but RVers are welcome without horses. We camped in a fifth wheel and did not have horses to board. The ranch has a wonderful array of friendly cats, dogs, chickens and horses. The shared deck has a hot tub, barbecue grill, fire pit and comfortable seating. We found it a very pleasant place to gather. The grassy sites are quite cozy but allow for slideouts. Hookups include water and electricity and a blue boy is available, if needed, for dumping. You must be self contained. It's worth the trip to this unconventional RV stop - we had a great time and were grateful the owner could accommodate us without horses. We camped at Valar Horse Facility in a Fifth Wheel. Don't be intimidated by the one lane bridge as you approach the ranch. If a 40 foot horse trailer can navigate unscathed, you can too! Our 30 foot fifth wheel pulled by a 19 foot 3/4 ton truck had no problem. Valor Horse Facility is a small RV Park and horse facility at Hoback Junction in Jackson, Wyoming. 5 RV spots with 30 amp hookup on grass. Hot tub and fire pit on a nice deck. Water is available and sewer dump is available. Easy access to the Hoback river for fishing, kayaking, etc. and to the local bike paths. Owner on site knows the area and can provide information on local activities. Great spot for a stay to see Grand Tetons NP about 20 minutes away through Jackson. About an hour from Yellowstone. We stayed 3 weeks and had a wonderful time. We camped at Valar Horse Facility in a Fifth Wheel. Great restaurant nearby on the road to Bondurant. Convenient grocery, liquor, gas station. Full shopping in Jackson 10 miles away. Are you affiliated with Valar Horse Facility ?